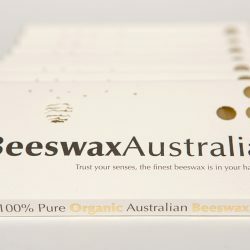 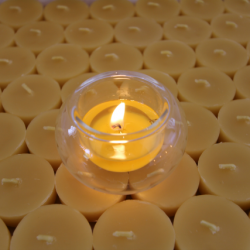 Northern Light’s latest innovation, the most economical way of achieving a lot of light from a tiny beeswax candle. 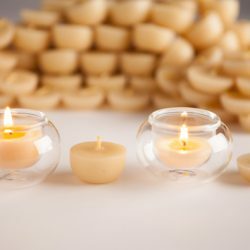 Made from hand-blown German glass, this candle holder will burn out every drop of wax, regardless of the surface it is sat on. 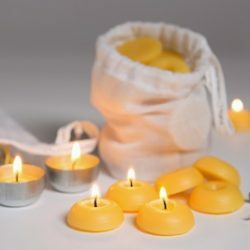 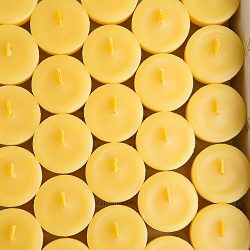 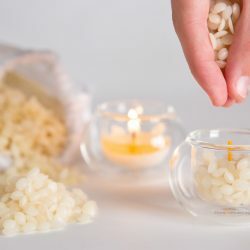 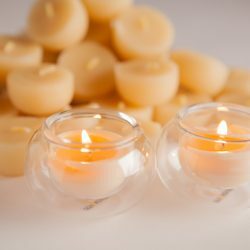 Unlike any other beeswax tealight, you may extinguish this candle any time and it will still burn out every drop. 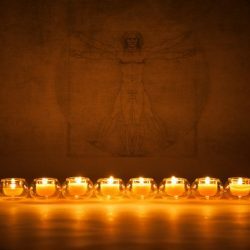 It also floats in water with perfect light reflection from under, above and all sides. 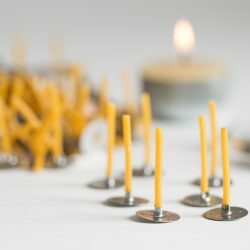 This original purpose built design is the ideal companion for NL tea lights, a soul full evening of Australia’s finest beeswax light.